In the past year, we’ve been talking a lot more about investing on Femme Frugality. Jason talked about why it, as a part of sound finances, is particularly important for women. Yulin broke down why we shouldn’t take the backseat to our spouses when it comes to retirement numbers. John and Gary set out ten rules of investing for beginners. 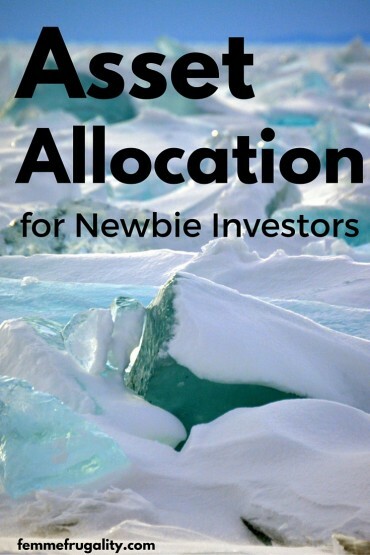 Today, I want to tackle a new-to-this-blog investing topic: asset allocation. We’ll talk about what the basic, general accepted rules are, when many people break them, and what the heck the assets are that you’re supposed to be allocating. Bear in mind that while I write a personal finance blog, I am not a financial professional. What you’ll read here is meant to define, not advise. 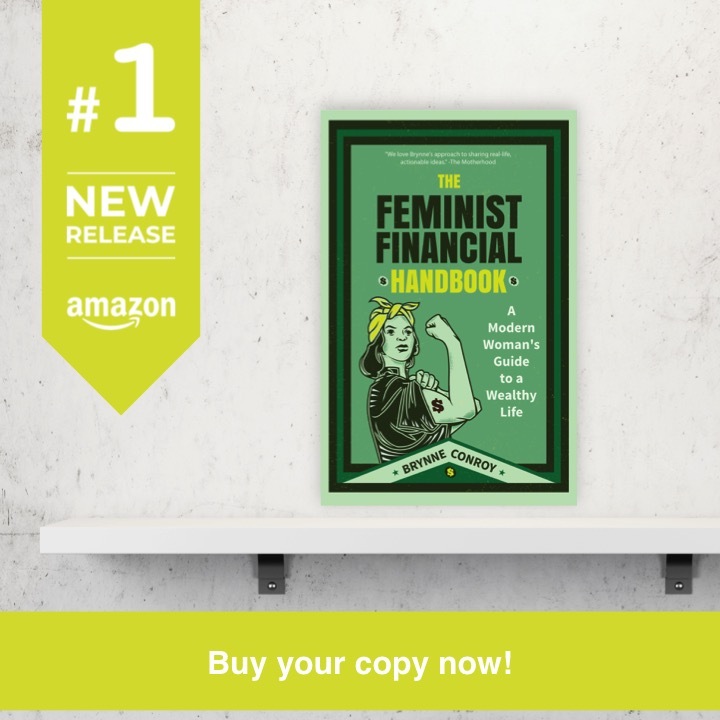 Once you read this primer, do more research before deciding what is best for your individual financial situation, or, if you don’t feel comfortable doing it on your own, seek out help from a trusted financial professional. But be sure to take one of those actions. Because the sooner you start saving, the more money you’ll have for retirement. Arguably, none of them have enough to retire on comfortably when we account for inflation and life expectancy, and make an assumption that social security will not be there for them. The interesting thing is that while each woman saved more than the last, because they started saving later, they ultimately had less money once they reached retirement. The more time you give interest to compound, the less money you have to actually save. What is this asset allocation you speak of? Asset allocation is how you divvy up your investments. It measures what percentage of your portfolio you have invested in riskier investments versus what percentage you have in less risky investments. Riskier investments have a higher potential for larger gains, but also have a higher potential for larger losses. One general, sweeping rule for asset allocation says that you should take the number 110. (The number used to be 100, but then people started living longer.) Then, subtract your age from it. This is the amount you should have in riskier investments. The rest should be invested in less risky investments. Becky is 21. She does the math: 110-21=89. So she should be investing 89% of her portfolio in riskier investments, and 21% in less risky investments if she chooses to follow this rule. Sarah is 30. Her math equation looks like this: 110-30=80. She chooses to follow the rule, and invests 80% in riskier investments, and 30% in less risky investments. Ashley is 38. She subtracts 38 from 110 and gets 72. When she follows the rule, she invests 72% in riskier investments and 38% in less risky investments. As the women age, they move more of their assets into less risky investments so they can be more confident that their saved money won’t disappear in a stock market plunge when they’re nearing retirement. Another exception is if you’re aiming for early retirement. Especially during those first few years of retirement, you may want to look into investing heavily in less risky investments, despite your age. Here’s why. Are you a woman? Then you may have cause to claim another exception to the rule. On average, women retiring today will live 2.3 years longer than their male counterparts. We tend to stick around longer, and therefore should be saving for those additional years of life. Having this knowledge may also affect how you view asset allocation. Yet another exception is that your tolerance from risk varies from the standard, one-size-fits all advice. Every individual’s situation is different, and as your situation changes, your risk tolerance might as well. So what exactly are riskier investments? Essentially, they’re equities, or stocks. But having them in your portfolio can look all kinds of different. This list will cover some of the most popular ones, but will by no means be all-inclusive. Stocks are shares in a company. When you buy a stock, you own a part of that company. As the market changes and the company’s profits oscillate, the value of your stock will go up or down. Picking individual stocks requires a great deal of background knowledge and research into the industry and the specific company. This is an option, albeit a time-intensive one associated with risk. Index Funds are a method heavily endorsed by my favorite investment blogger, Jim Collins. Essentially, they are a snapshot of the market. They contain some stocks from all the industries in the market, and are not actively managed. They come with low fees, and the idea is that because they cover the entire market, their performance will closely follow what the market itself does. Instead of beating the market, you’re trying only to follow it, as the market does historically go up over time. As with all riskier investments, there’s no guarantee that they will do what they’re supposed to do, but in general index funds tend to have a pretty decent track record. Be sure to research each individual fund before purchasing, as some are better than others. ETFs (exchange traded funds) are much like index funds in that they try to track the market and contain a number of equities across all industries in the market. ETFs tend to carry different fees than index funds. You’ll see more fees here for commissions and spreads which are classified as transaction costs. However, in other areas the costs can be lower. Less risky investments are those that are inherently safer, but as a result offer lower rewards. When you buy stocks, you’re buying a part of the company itself. When you buy bonds, you’re lending the company money. Just like any other loan, the company must pay you back with interest within a set amount of time. Some interest rates are set in stone before you invest; you’ll be able to look at them and know exactly how much you’ll earn back by the end of the loan. For others, the interest rate will vary based on the market. Certificates of deposit, or CDs, are an extremely safe investment. You give a lending institution money, and they will pay you interest on that investment. At the end of the term (which generally lasts for 1-7 years,) you can get your money plus the dividends earned back, or you can reinvest it so it continues to grow. You cannot touch the money until the end date without incurring serious penalties. Since the Recession, interest rates on both government bonds and CDs have been very low. The good news for those looking to balance out their portfolio with these less risky investments is that since the Fed has started raising interest rates again, the interest rates on these investments are likely to go up, For example, PenFed’s Money Market Certificates ² just saw a significant rate increase in the past few days, jumping up to 1.51% APY for a 15 month certificate. Mutual funds hold a large basket of investments. The idea behind these is that you don’t want to research each individual stock and/or bond, so you are willing to pay someone else to do it for you. It diversifies your portfolio, but you will be stuck paying fees for the convenience. These funds are actively managed, and most of the time actively managed funds tend to underperform when compared to other investment options. Only you, or a financial professional you trust, can answer that question. You’ll need to take into account your age, your risk tolerance, when you started saving, when you want to retire, how hands-on you want to be with your investments, and which products you think are worth the fees. It is important to start investing, though. Be like Becky. Start as young as you can. While you can’t go back and start yesterday, you can start today and thank yourself tomorrow. ¹ Non-deposit investment products and services are offered through CUSO Financial Services, LP (“CFS”), a registered broker-dealer (Member FINRA/SIPC) and SEC Registered Investment Advisor. Products offered through CFS are not NCUA/NCUSIF or otherwise federal insured and are not guarantees or obligations of the credit union, and may involved investment risk, including possible loss of principal. Representatives are registered through CFS. Pentagon Federal Credit Union has contracted CFS to make non-deposit investment products and services available to credit union members. PenFed Invest is the marketing name for non-deposit investment products and services provided at Pentagon Federal Credit Union through CFS. ²This post is in partnership with Pentagon Federal Credit Union. This entry was posted in Money Management on January 27, 2016 by femmefrugality. Ugh, this makes me want to go lie down with a cold washcloth over my eyes. And not just because my situation is basically Ashley’s. We’ve been contributing at least $100/month for 5 years (things were pretty tough) and $300 a month since 35. Meanwhile, we won’t really be able to make meaningful contributions until Tim’s SSA appeal is sorted out. Then we’ll get enough that I can fully fund an IRA and even open and (hopefully) start shoveling money into a SEP.
And yeah, I have less time — meaning the need for big gains — but I’m also the only income earner for two people. So I’m hesitant to go too risky. Besides, that’s less time for things to normalize. So I went in for moderate risk. It was more than I wanted, but less than would keep me up at night. What a great resource! definitely saving this one. I’m with Abigail. I have a love/hate relationship with investing and saving. My family never invested and lived in fear of the market. I’ve come to believe and understand that investing in the market is the only way to WIN at retirement. You will never be able to save fast hard and fast enough to support your retirement. It’s just hard to find that balance when trying to pay off debt too. My husband and I are starting small, with simple things like 401ks. Hopefully, we can move onto IRAs soon to add to our retirement. Investing is the only way to get ahead, and dollar cost averaging is the way to go. We’ve been investing in mutual funds both inside and outside of our 401K s for almost 30 years. We’ve had up years and down years but staying the course, staying in the market, is the way to go. Don’t pay huge fees for what you can do yourself. Learn about investing—what the options are, what the risks are and what the realistic rewards are. I talk a lot about them on my blog. Honestly, I’ve read a lot that says you should be in near 100% stocks for a very long time – well into your 40s or 50s. The stock market certainly does move a lot, but there’s historically always been about a decade of full fluctuations. So if you’re still 10 years out from retirement, there will be a time when it’s up again and you can start moving into bonds and other less risky investment forms. And that’s assuming index and mutual funds, not investment in individual stocks.